Here are the Top 5 Reasons to Choose Heaven’s Best Carpet Cleaning of Birmingham, AL for all your Carpet, Upholstery and Floor cleaning needs. 1. Positive Reviews & Referrals: Heaven’s Best of Birmingham has some very happy customers and they are willing to let others know. We have an A+ Rating on Angie’s List and numerous 5-star ratings on Google. Most of our customers are repeat customers who would not use anyone but Heaven’s Best after trying our services. They use us on a regular basis because are rates are excellent, our cleaning services are superb, and our customer service is exceptional. 3. Certifications: We don’t just say we know carpeting; we are Certified to know carpeting. Certifications help gauge the quality and efficiency of a company. If a company is certified, it instantly helps to establish trust. Heaven’s Best, being an international carpet cleaning company, has been certified by Institute of Inspection, Cleaning, and Restoration Certification (IICRC) & Low Moisture Carpet Cleaning Association (LMCCA). All of Heaven’s Best of Birmingham’s technicians are IICRC-Certified Carpet Cleaning Technicians. This means they have been trained and tested on how to properly clean carpets. This ensures that the person who comes into your home knows what he or she is doing and is going to give you the best state of the art technology and cleaning service available. 4. 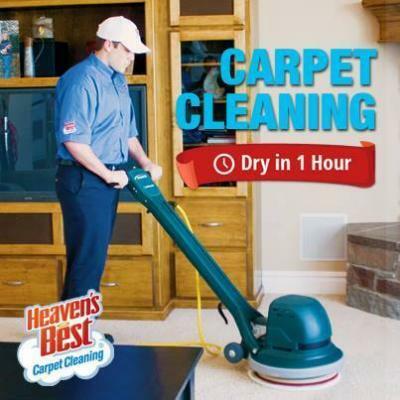 Low-Moisture Process: Heaven’s Best uses the most advanced low-moisture process to clean your carpets. This process is environmentally safe and will allow your carpets to be dry in about 1 hour. One of the advantages to this method is that it helps extend the life of your carpet because it is does not over-soak your carpet or pad. This reduces the potential for mold or mildew and also helps keep the glue in the carpet from delaminating. Another great advantage of our reduced drying times, is you can get back to your life and activities sooner than you expected. You won’t have to sit around and wait for days or even hours for your carpet to dry. It will be dry in about 1 Hour! 5. Quality Service at Reasonable Price: Heaven’s Best Technicians are trained to offer impeccable carpet cleaning service. Our technicians are friendly and because we hire retired Veterans they are extremely respectful and courteous. Our objective at Heaven’s Best is to give you the best service and convenience so as not to disrupt your life. We have flexible schedules and our rates offer an exceptional value for your money. Call Heaven’s Best today at (205) 618-9150 for a FREE ESTIMATE. You will be surprised how much better our rates are than our major competitors. Take advantage of these Top 5 Reasons to Choose Heaven’s Best Carpet Cleaning of Birmingham, AL.